The Nationwide Insurance: Cornett-Dunkle Agency LLC in Paulding, OH provides the following products. To learn more about each insurance product, click on the links below. Understanding the coverage you buy is important, but the language of underwriting can be a little difficult for those who are new to it. That's why Cornett-Dunkle Agency LLC focuses on explaining auto insurance coverage in a common sense way that members in Paulding appreciate. That way, it's easier to enjoy your vehicle with the assurance you understand what is covered in the event of an accident. Auto policies tend to start with liability coverage, and the right amount can depend on the vehicle you drive, the state's requirements, and other factors. Once you have the liability package you need, collision coverage is there to help take care of any covered damage your vehicle takes in the event of an accident, and comprehensive packages are there to cover you in the event of an incident when the vehicle is not in motion. Drew Dunkle works with Nationwide to provide drivers with a wide range of coverage choices. After you find the right coverage levels for your vehicle, we will apply discounts you may qualify for such as for safety equipment in the vehicle or your safe driving history. Finding out more about our policy options is easy. Our offices can be reached at (419) 399-2816, and agents are happy to take set appointments for in-person consultations at our office located at 121 N Main St.
Every homeowner in Paulding deserves to have the right kind of insurance coverage. These valuable policies provide peace of mind and valuable forms of protection for as long as you own your home. In the midst of all the unexpected things that can happen to a home, it is good to know that Drew Dunkle and the rest of our Cornett-Dunkle Agency LLC team are working hard to help you. 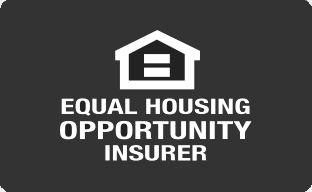 By providing exceptional Nationwide coverage customized to the individual needs of homeowners like you, we can help ensure that your insurance is doing more to protect you. Personalized insurance solutions take into consideration the distinctive qualities of your home and property. Homeowners policies designed to suit everyone might leave out important property features, such as free-standing garages, that are unique to your situation. Drew Dunkle can provide a fresh look at your existing coverage and your current coverage needs. This is a great way to make sure that you are not overpaying for insurance features that you do not need while still making sure that your entire home and property are receiving the right kind of protection. Helping people get more from their insurance is part of what we do. We are proud to be part of the Nationwide family of insurers. Filing claims and learning about your coverage is easier than ever thanks to Nationwide's extensive network or friendly agents. Paulding homeowners and prospective homeowners can visit our office at 121 N Main St or speak with an agent by calling (419) 399-2816. Bringing home a new baby, like many of life’s happy events, also brings on new responsibilities. New obligations can be more easily shouldered if you take steps now to plan ahead. In order to provide long-term financial security for your family, you need a Paulding life insurance agent who can help you understand the types of life insurance that best suit your family’s needs. The agents at Cornett-Dunkle Agency LLC will help you safeguard your family’s future by helping you select the right life insurance. We will explain term versus permanent insurance and answer all your questions. We are here to help you assess your needs and will explain the difference between whole life insurance and universal life insurance. Whether you have a new baby on the way, or you brought your baby home several months ago, now is the time to plan for life’s eventualities. Call (419) 399-2816 and ask for Drew Dunkle or visit us at 121 N Main St,Paulding,OH,45879. We will be happy to work with you to make sure your family’s financial security is always protected. As a small business owner, you may have already purchased property insurance and general liability insurance, but did you know you could be protecting your assets even further? Nationwide, in conjunction with Cornett-Dunkle Agency LLC, provides a wide variety of specialized business insurance policies to benefit many types of businesses. Are you wondering what more you could need? Many business owners choose to add an umbrella policy to their coverage. Sometimes something occurs that the main policy cannot cover in full. If this happens, umbrella insurance acts as additional protection for a liability claim. Others opt to add income loss coverage and use it to pay bills and employees if they ever experience a business interruption. Depending on the type of business you run, you may be required to carry workers' compensation insurance in case an employee becomes injured on the job. Equipment breakdown policies, crime insurance policies, and cyber liability policies are all popular as well. If you are feeling overwhelmed by all the options, don't worry. Our experienced agent, Drew Dunkle, can help you determine which policies would work well for your company. Together, we will come up with a package that protects you at a budget you can afford. If you run a small business in Paulding, Nationwide and Cornett-Dunkle Agency LLC are ready and willing to help you. To learn more about which small business policies are right for you, call us at (419) 399-2816 or stop into our offices at 121 N Main St.